A few weeks ago, I did something I truly wish I had not! I warn you now not to do the same. I was merrily googling about something political, for information; in my search bar I had included the word ‘atrocities’ and then, for some reason, within the search results, I clicked on ‘images’! 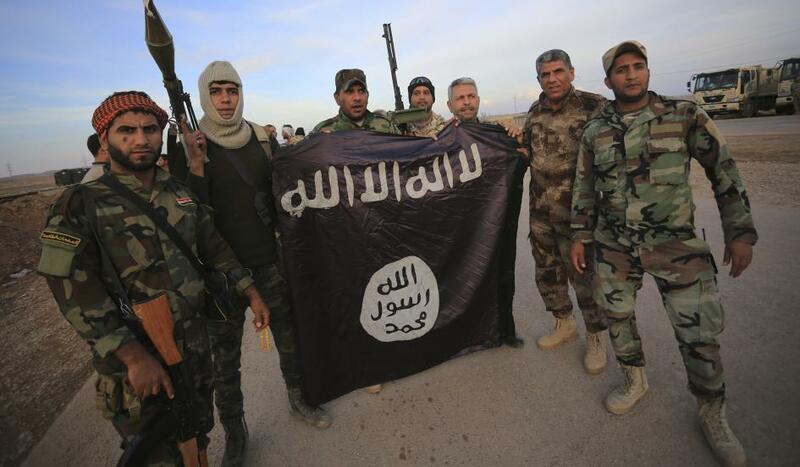 Despite not typing in anything to do with ISIS, the first images that appeared were ISIS atrocities! I looked, for too long, far too long, I was mesmerised. It was almost certainly less than a minute, but that was all it took to burn those pictures into my brain. I have some failing memory in my advancing years; how I wish it would fail me now – the pictures will haunt my nightmares until I leave this Earth. In no shape or form will I ever join in the politically-motivated rhetoric of branding all Muslims as barbaric or savage, but those people in ISIS must be the most debased and disgusting humans on this planet right now. I cannot think of anyone worse. In the past we’ve had the Nazis (white Europeans) and the Khmer Rouge in Cambodia (Asian atheists), amongst other savages, so ISIS are not wholly unique, but they are making the effort to top the list with fervour. The most recent report that I read was how they executed 19 young women who refused to take part in ‘sexual jihad’ – I’ll spare you the details. However, my headline ‘shocker’ has nothing to do with ISIS or Muslims whatsoever. It would have been a tabloid headline in 16th century Geneva (had they been reading tabloids then)! Church history scholars will realise that this is referring to post-reformation Geneva, a city state founded on and run by the principles of Calvin’s ‘Institutes of the Christian Religion’ and his interpretation of the Bible. One reliable source records that it was a teenage boy, called Phillipe DeVille and that he was tied to a stake and then beheaded. Another source claims it was a girl, but there is no argument against the fact that it did happen, as punishment for lashing out at both parents. Many other unruly children were subjected to harsh punishments, and many adults were beheaded or burnt at the stake for disagreeing with Calvin, or the council who made his ‘Institutes’ as authoritative as the holy scriptures. You can read of the executions of Servetus and Gruet elsewhere, if you can stomach it, and the various debates over how much Calvin himself was involved. His followers tend to try their best to defend him and downplay that he really wanted these men killed, or wished for a swift execution, etc., and that is understandable if you’ve based a whole load of your theology on his writings. The evidence against him, however, is pretty damning. We can say things like “it was a different time he lived in” and I’m glad if we can agree that in the 21st century Western world, we have moved on from ‘that time’. Had it been a Calvinistic interpretation of some obscure verse, I could dismiss it, but it’s not. It’s as clear as it reads in my own Bible that I cherish. And here lies the problem with those who wish to ‘return to the Law’: The real problem. Many who call for a return to observance of the Mosaic Law understand that there are many things in it that seem petty and unnecessary for us e.g. men should not shave the sides of their head, and clothing should not be made with mixed fabrics. Some are outdated; a man who left the Amish community after his personal conversion from their heavily-ritualised living had an infestation of woodworm in his barn. He read the appropriate law and burned the barn down! They didn’t have effective pesticides in those days but we do now. If you truly advocate a return to law-keeping, then note that Paul made it clear that we cannot keep just part – we must adhere to it all, and to not do so would invoke a curse! He even talks of the law as slavery!! And so we find ourselves faced with a command, a moral one, that must be adhered to. Are we to take our unruly and rebellious teenage children to the legal authorities for execution? As I recall the images I saw on my google page, some of them of children… I must ask: would there be much difference between that and what we must set up were we to go back to the days those laws were written for? If you can comprehend what this means, you have begun to be mindful of the difficulty we face. 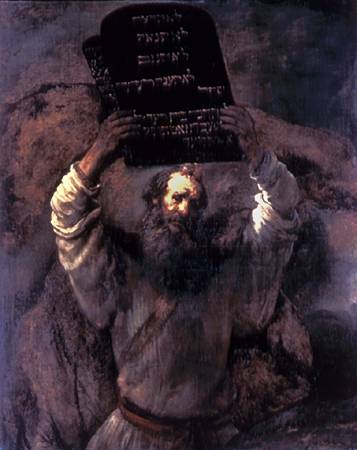 There are some theologians who believe the Mosaic Law to have been written by man – it is truly a very difficult thing for fundamentalists to argue against! You see, there’s a lot of talk about the gospel offending people these days, and it’s worn as a badge of honour by many: “I don’t care if my faith or my Bible offends people, I’m saying it anyway!” – and they refer to Paul talking about the offence and the ‘scandal’ of the gospel. Today it’s usually to do with a ‘laxness’ in morals in modern society, as well as in some churches, or a disregard for ‘the law’, or not calling sin, sin. However, this was not what Paul meant by ‘the offence of the cross’! It’s true! The gospel of Jesus is offensive! Paul states that clearly: Brothers and sisters, if I am still preaching circumcision, why am I still being persecuted? In that case the offence of the cross has been abolished. (Gal.5:11). But… Paul is not describing an offence against a ‘lawless faith’ that disregards sin and its consequences and punishments. No! He’s preaching to the Galatians against ‘the law’! And he is talking about the Law as written in the scriptures, not any ‘man-made additional ordinances’. Why is this man, who was a fervent Pharisee, zealous for the Hebrew scriptures and a persecutor of the traitorous Christians, now saying that he’s not for going back to the Law!? He is addressing the church in Galatia, which has been infiltrated by legalists who are trying to get them to be circumcised, and Paul, a circumcised Jew himself, screams “NO!” at them. The offence of the cross is what so many find hard to grasp; which is that grace is extended to whomever would believe and follow Christ, and is not dependent on works at all! I exhort you to read the whole epistle, maybe even in The Message paraphrase, since it captures Paul’s anger that many other translations seem to dilute. Be aware, as you read it, that it most certainly is not a “hello, chums! Hope you’re all feeling well today!” sort of letter; far from it! It was this ‘offence’ of the gospel of grace that caused Mohammad to rebel against it since he could not accept the very idea of vicarious atonement. Vicarious what? It means that someone took the place of punishment for the sins of another; they paid the cost, and took the consequences. This is the very lynchpin of the gospel of Jesus Christ. He paid it all, for the sins of anyone who would accept that vicarious atonement and not rebel against it; it is the will of God that we should partake of it, since God knows our weakness and how we cannot achieve such atonement for ourselves. Paul labours on this throughout Galatians, and touches on it in other epistles, notably Romans. Paul’s theology outlines beautifully how we have died with Christ on the cross, to sin, and arose again to salvation and new life, and anyone who has died has been set free from sin. (Rom. 6:6-8). Unfortunately, though, many who have been appalled at those who grant others a ‘license to sin’ (I call them ‘licensers’ in my book) then react in a human way and begin to reject the doctrine of grace, preferring a more ‘righteous’ way of living, and they gravitate back to a code that they can refer to for precise guidance. My problem right away is that we are called to be righteous, not self-righteous, and in this I see a problem arise, which leads to conceitedness, with fellow brothers and sisters thinking that they are ‘better’ than other believers, when in fact, the beginning of the following after Jesus is humility; we are to deny ourselves (Matt. 16:24). Jesus lays out just how much sin resides in us in his Sermon on the Mount, and Paul declares that he himself is the chief of sinners. (1Tim. 1:15) – he recognised that once he was aware of his own fallen heart, there could be nobody else he could judge as beneath him. I have come to believe that this was the very intention of Jesus in pointing to our hearts and saying “there lies sin!” Why else would he convict us so badly, rebuke us so sharply? Only to teach us that each of us has been forgiven, completely, totally, so we cannot wish to judge others or belittle them. We will then react to grace in a positive way, like the single leper from the ten healed, who returned to Jesus to give thanks. How then do we deal with the licensers? Why can they not feel what that one leper felt and desire to serve Christ in a totally non-selfish way? (And why is it that so many who preach about personal wealth and health by faith then fall into this trap?). More importantly, why do we have this struggle between law and grace? 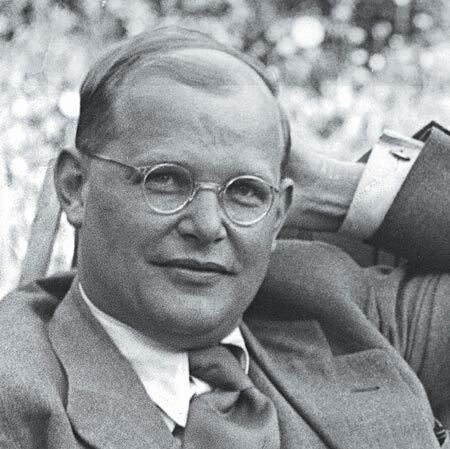 Dietrich Bonhoeffer (1906 – 1945) was a modern martyr for the gospel, executed by Hitler’s regime for maintaining his stance against the evil he saw around him. His most famous work was ‘The Cost of Discipleship’ and his death was a testimony to what he wrote. He saw much of this ‘license to sin’ in his day too (just as it was in the first century, and still is in the 21st century), and he coined the term ‘cheap grace’ to describe what he perceived these people were doing with the gospel of true grace (or ‘costly grace’). For Bonhoeffer, cheap grace was a perversion of the gospel where grace was used as an excuse for sin, since it was easier to view it that way and live a life without discipleship, without ‘following after’ Christ, which would cost much to any disciple, maybe even to the point of their own life; we are to take up our cross, and we would do well to grasp just what that phrase means. Bonhoeffer certainly did! 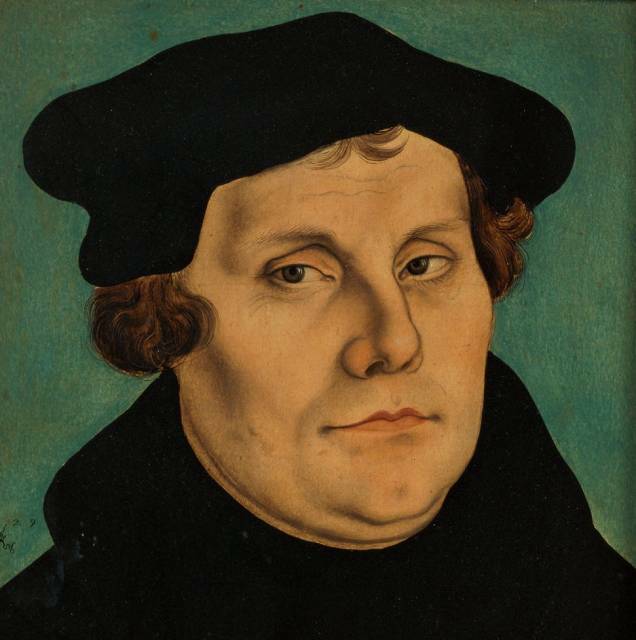 To get a better understanding of this, let us first go back to Martin Luther, since his reformation has been blamed for offering Christians licence by taking them away from the long-standing doctrines and sacraments of the established church. On the contrary, what was probably the spark that lit his fire of passion to call for a serious debate within the church was an event one Saturday evening; on his way home, he found a parishioner lying drunk in the gutter. Luther picked him up and brushed him down, and rebuked him for his drunkenness, telling him that he must go home and sober up for the morning to be able to get to the confessional for his sin. The man dismissed his priest, drawing out of his pocket a bill signed by the Pope which he had paid a good sum for, saying “see! The Pope himself has absolved all my sins! I can do as I like!” Licensing existed in the Roman Catholic church too! 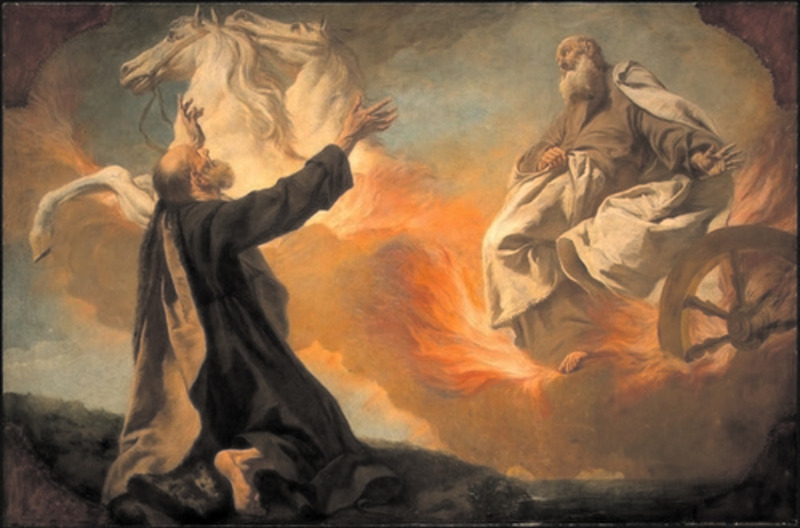 Luther was appalled at such an attitude: he was a true disciple – he was not intending to enter the priesthood, but did so after promising God he would if he survived a severe lightning storm in the Alps. His word was his bond. As he read his Bible more, and sought the Lord, his grasp of the doctrine of grace did not diminish his desire for ongoing costly discipleship. No, it was a comfort to him, that his place in heaven was assured, that he need not strive any more, but in the heart of a true disciple, it offered strength to the resolve to follow, not the excuse to carry on with life just as before and forget about following. 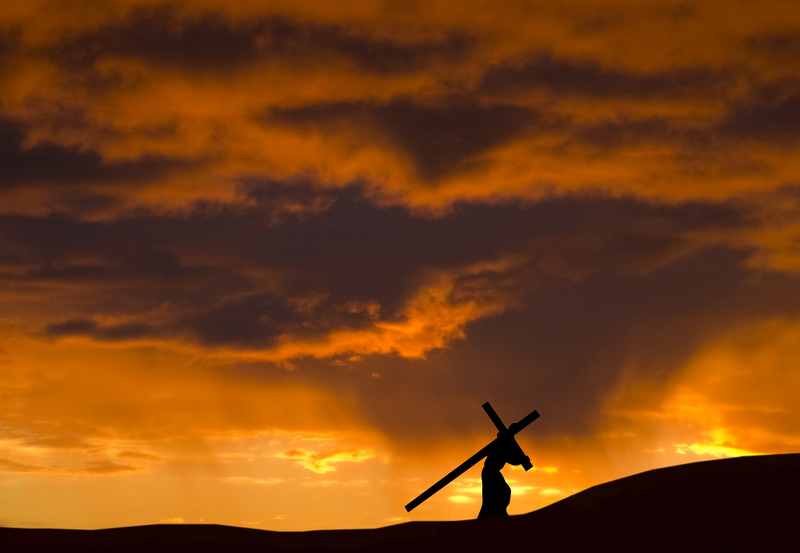 Jesus always laid out difficult conditions for following him. Some of these are too difficult for some! It is costly because it calls us to follow, and it is grace because it calls us to follow Jesus Christ. It is costly because it costs a man his life, and it is grace because it gives a man the only true life. It is costly because it condemns the sinner, and grace because it justifies the sinner. Above all, it is costly because it cost God the life of his Son. The answer and the antidote to cheap grace is not to return to the law. Paul lays out just how twisted a logic that is, since we are leaving our means of salvation, by grace, through faith, and going back to that which never could save. Abraham was justified by faith, not law, long before the law came! No, the answer to cheap grace is not a return to the Law, but to preach, and live by, true costly grace. I cringe when I see the likes of Joel Osteen look at the camera and say to viewers to recite his own version of the ‘sinner’s prayer’ (which is not in the Bible, by the way) and then say “congratulations, you are now in the family of God!”. Yes, my own salvation started at a moment with a prayer like that, but with little to no teaching on those TV screens about commitment and discipleship, is that single prayer not simply sewn on stony ground? When I first decided to follow Jesus, I knew from the outset that following him as a disciple was not just praying the prayer, or even believing the belief: it was living the life! No, the Law has not been abolished, say the legalists. Correct. However, Christ had not come to abolish them but to fulfil them! They miss that tiny little word but and then the word fulfil gets overlooked. I don’t even need to get into the nitty-gritty of the original words since the English suffices (save to point out that the Greek for fulfil, plero-o, is the root of our word completion). Once Jesus finished his work on Calvary, it was done, all the requirements of the Law were completed and fulfilled in a most perfect way that all of mankind striving, for all of eternity, could never accomplish. For me, any return to what went before, dishonours and insults my Lord’s finished work – it says that it wasn’t enough, and tries to circumvent that which is offensive about the gospel. It’s legalists who cannot shoulder that offence, and they may as well convert to Islam, since it’s much the same as what they advocate, in my humble opinion! In many of Jesus’ references to the Law, it is termed ‘the Law and the Prophets’ – this is one division that did exist in the Hebrew scriptures, though again done so by men; they had the Law, the Prophets, and the Writings (the last one usually consists of Job, the Psalms, Proverbs, Ecclesiastes and the Song of Songs, but the categorisation has changed at times). However, Jesus, when talking about what he has come to fulfil, includes the prophets. To analyse the messages of the prophets in a soundbite, it is that they were always standing on the fringe of society calling the people back to God. It usually consisted of “you keep God’s laws as precisely as if you were ‘straining out a gnat‘ yet your hearts are far from him!” Jesus sought to put these together; yes, there is the law, but don’t forsake what my prophets told you, that a heart turned towards me is more important. Through Isaiah, God said how he had tired of all the sacrifices of rams and bulls and lambs. He wanted them to just love and desire him, and Jesus’ call to his disciples hinged on their hearts. Without the prophets’ message, without heart change, law-keeping means nothing to God. A final point to make is that the anyone who sets aside one of the least of these commands and teaches others accordingly will be called least in the kingdom of heaven phrase is actually not saying that we must keep it all, every last bit. It means you cannot set aside one of them – just as Paul warned, if you wish to live by the Law, you cannot set even one aside; you must be enslaved again to keep them all (which includes the child-killing). When reading Galatians, I don’t see Paul saying “don’t keep this law” or “you can ignore that one.” No, he simply warns that they come as a package, and that package is fulfilled, and covered by grace, by Jesus’ blood, buried with his baptismal dip into the Jordan river. Trying to keep them is putting the chains back on that were removed when grace was preached to you. Alienated from Christ!? Fallen… from grace!? Harsh words indeed! Grace truly be with you. ← All truth is God’s truth!